For years, I’ve seen friends buying and selling Scentsy products and kept meaning to take a look but never really did. I wasn’t really sure how it worked or what the big deal was. But when my friend & fellow blogger, Teri from Mom to Bed by 8, started selling Scentsy, I decided to check it out and I am very glad I did! 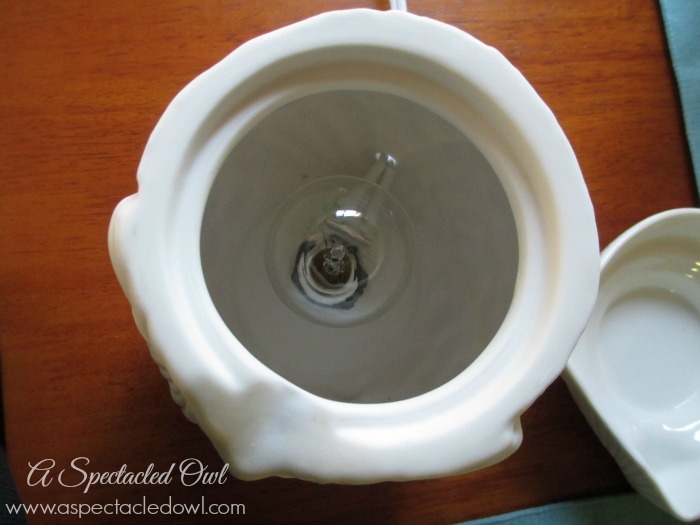 When I visited Teri’s Scentsy site, I first started looking at the warmers and deciding which one I wanted to try out. Although I liked MANY of the Holiday warmers, I decided that for my first warmer, I wanted it to be something that I could leave out all year long. 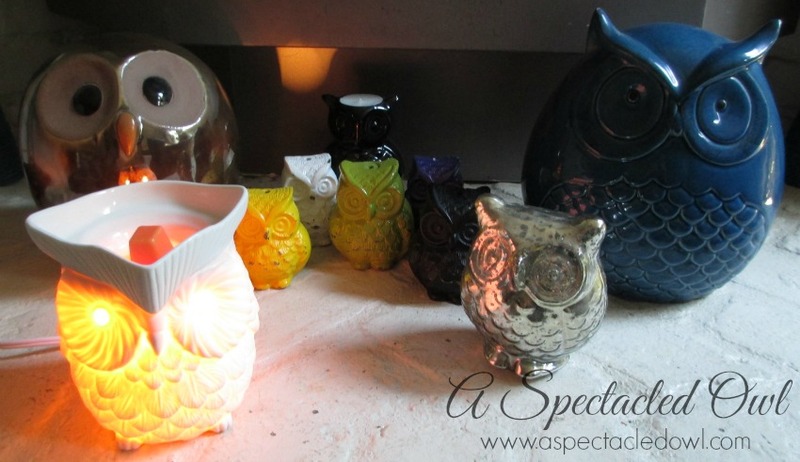 Of course when I saw the Whoot Owl Warmer, I knew I had to choose that one! I knew it would fit right in with all of the owls I already own and it’s beautiful enough to be left out all the time. 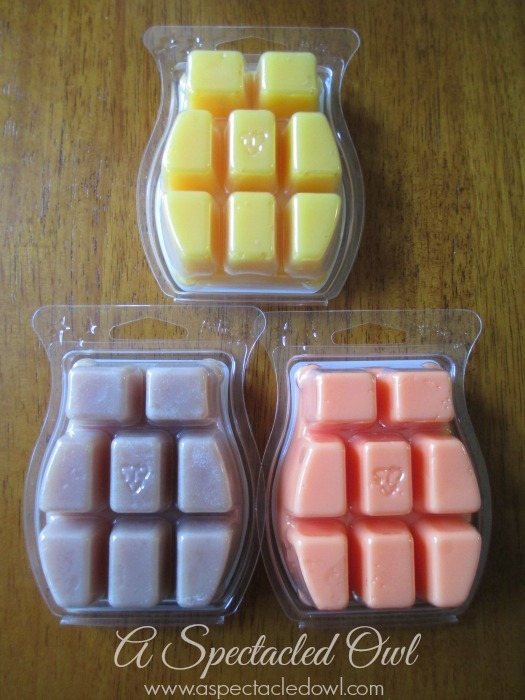 Choosing the Scentsy Bars was a little more challenging. Not because I couldn’t find any I liked, it was quite the opposite! I finally narrowed it down to 3 and chose: A Wink & A Smile, Caramel Pear Crisp & Pumpkin Roll. What I love about Scentsy is there’s no flame involved so whenever I want to have my house smell great, I don’t have to worry about a flame around my kids. 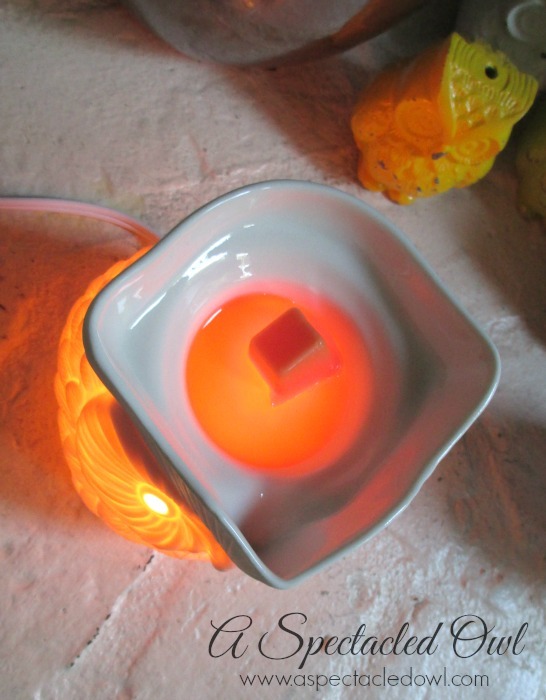 Scentsy Warmers use a low-watt bulb to slowly melt specially formulated wax. Once your wax is meted, you can pour it back into the container, let it solidify and use it agan! I just love that! Scentsy Warmers & Scentsy Bars make fabulous gifts, not only for the Holidays but for any occasion. Plus, the Scentsy Bars are only $5 much less than most candles, so it’s a great way to try different scents in your home. I can’t wait to be a few more warmers for around the house and try some new fragrances! Head n over to Teri’s Scentsy site & check out all the wonderful products! One winner will receive the November Warmer + Scent Bar of the Month. Giveaway ends November 24th at 11:59pm, open to US, Mexico and Canadian residents, ages 18+. Only one entrant per household, per address. Winner is subject to eligibility verification. Enter using the giveaway form below. Good luck! I learned that if you get the warmer of the month that it comes with a matching ornament for your tree. I would like the nutcracker warmer. I did not know that Scentsy made laundry products. I would love to smell the Eskimo Kiss Scentsy Brick. The blackberry jam, caramelized brown sugar, vanilla, and amber in a softly romantic scent sounds nice. The Blizzard Plug-In Scentsy Warmer is classic and beautiful. That owl is so cute! I also love the Zen Rock Scentsy Warmer ELEMENT. I love the Nature’s Haven Warmer. I love the Owl and the Cardinal Warmers. Thanks for the chance to win. I’ve always collected Owls and the Cardinal is our state bird here in Kentucky. I’d love to get the Heartfelt Premium Warmer. I have never heard of this company before. I learned you can host a party and they have a customer reward program. I’d love the Vanilla Suede Washer Whiffs. Might as well get the big tub. I like the Swirling Leaves warmer and The November warmer and scent of the month. I love the Rustic Star Scentsy Warmer. I love scentsy. I would like to try the Happy Go Lucky Shower Gel. I love the Zen Rock Scentsy Warmer. I would love to have the Nutcracker Warmer. I really like using a warmer instead of candles because I have three noisy cats…lol, I especially like the Nature’s Haven Scentsy Warmer PREMIUM with the very merry cranberry scent bars…. I want the nutcracker warmer!so cute for the holidays. 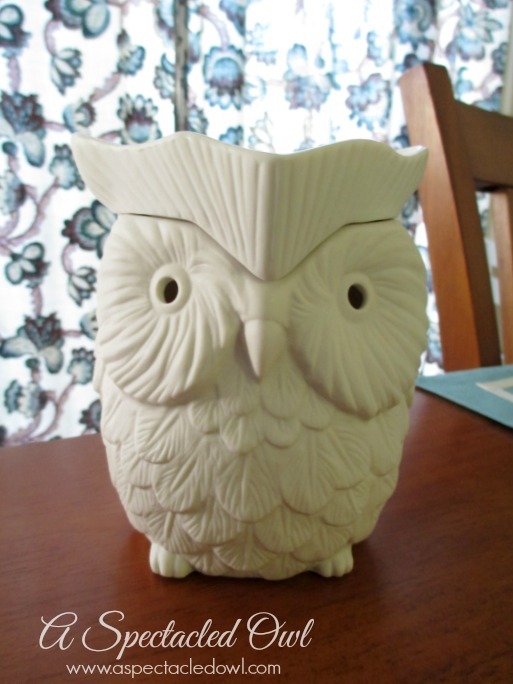 I totally love the WHOOT SCENTSY WARMER PREMIUM – Owl – of course, it would be a gift for my sweet daughter! I really like the new Nutcracker warmer. I really like the nutcracker warmer. Very cool! I have heard of Scentsy for a while now but have never tried it! I would love to win so I can give it a try! wow too cool, i love to try the washer wiffs, i never knew they had those. I really like the GRATEFUL HARVEST SCENTSY WARMER. This is the first time i’ve seen it and it’s lovely. I would like to have the Santa’s Sleigh Scentsy Warmer. The Scentsy buddies are so cute and would be perfect for my girls to snuggle cuddle with. 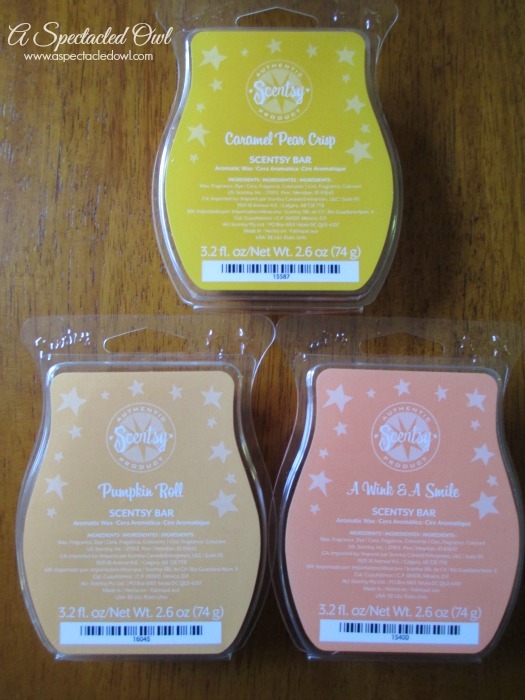 I like the caramel Pear Crisp Scentsy bars and the cedar one. I like the shadow warmers. I love snowmen so I would have to say I love the SNOWMAN SCENTSY WARMER PREMIUM. I love the Nutcracker warmer; how cute for Christmas! I also love the Whoot (owl)! I learned they have hand care sets; would like to try their wonderfully winter hand care set with the winter pine scent included. I love the Holiday Brick Bazaar selection! I would love to get my daughter the August FUN IN THE SUN SCENTSY WARMER PREMIUM. Obviously, her birthday is in August, and she would love it. So cute! Wow there are so many scents! It would be hard to narrow to just one! I would love to have the Green Marble Scentsy Warmer ELEMENT. I love the nutcracker warmer for Christmas. I would like to have the BLACK RASPBERRY VANILLA LAYERS WASHER WHIFFS. I love the nutcracker warmer and ornament. They are so cute! Love the nut cracker warmer. I would so love the bonehead warmer! I really want to try the laundry scentsy too! I love the Nutcracker Warmer. So cute! Thanks for the chance to win! I would like the Nutcracker Warmer! I love the blue diamond shade warmer so much. I think I may treat myself to it for the holidays. I love the nutcracker warmer! It is just adorable and so festive. I love the Rowan the Racoon Scentsy Buddy. The Autumn Glow Shade is really pretty. I would love to have the nutcracker scentsy! That is so neat! I learned that I’m now yearning for my house to smell like a bakery. I LOVE Scentsy! I would like to try the OCEAN LAUNDRY LIQUID. I saw that they have a really cute Nutcracker warmer. I would love to try the Sugar Cookie scent. I love the nutcracker warmer! Perfect for the upcoming holiday season! I want to try the Sugar Layers Body Butter. I want the Autumn Glow Shade and my daughter really wants the Sunkissed Citrus scent. 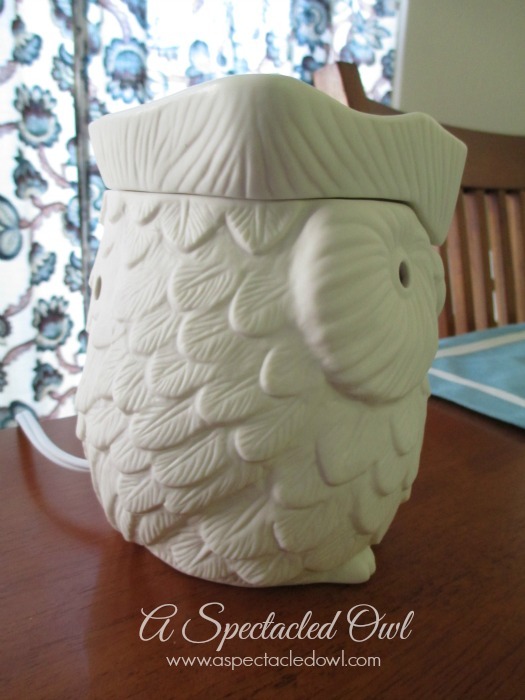 the others are ok to pick from the site I liked the cardinal warmer, but I am in love with this owl warmer! I learned that they also have a large variety of other items and not just bars! I love the Nutcracker warmer. It is just too cute. I also love the Aspen Grove warmer. I learned there is a nutcracker warmer! That is so cute and the best Christmas decoration ever!! Oh, I also love the Nutcracker warmer! well,,,I know what I want for Christmas.. I would love to try any of the “green” scents! I learned that they sell laundry products, which I did not know. I’ll have to try them! I would love to have the TUNIS SCENTSY WARMER DELUXE. Scentsy will do custom gifts which is a great idea! I really like the Rustic Star Scentsy Warmer. I would love to have the Nutcracker warmer! I like the Caramel Pear Crisp Scent Sack. I like the Nutcracker Warmer and Ornament. I love the Nutcracker Warmer. 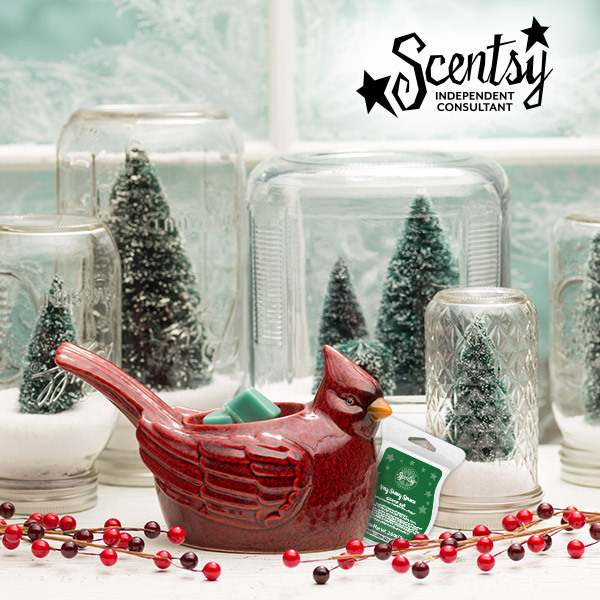 I love the Cardinal Scentsy warmer and i’m sure Spiced Berries or Baked Apple Pie would smell so delish in it! I learned they make laundry products ! !